Typhoon Vera kills almost 5000 people in Japan. Typhoon Vera, also known as the Isewan Typhoon, was an exceptionally intense tropical cyclone that struck Japan in September 1959, becoming the strongest and deadliest typhoon on record to make landfall on the country. The storm’s intensity resulted in damage of unparalleled severity and extent, and was a major setback to the Japanese economy, which was still recovering from World War II. In the aftermath of Vera, Japan’s disaster management and relief systems were significantly reformed, and the typhoon’s effects would set a benchmark for future storms striking the country. Vera developed on September 20 between Guam and Chuuk State, and initially tracked westward before taking a more northerly course, reaching tropical storm strength the following day. By this point Vera had assumed a more westerly direction of movement and had begun to rapidly intensify, and reached its peak intensity on September 23 with maximum sustained winds equivalent to that of a modern-day Category 5 hurricane. With little change in strength, Vera curved and accelerated northward, resulting in a landfall on September 26 near Shionomisaki on Honshu. Atmospheric wind patterns caused the typhoon to briefly emerge into the Sea of Japan before recurving eastward and moving ashore Honshu for a second time. Movement over land greatly weakened Vera, and after reentering the North Pacific Ocean later that day, Vera transitioned into an extratropical cyclone on September 27; these remnants continued to persist for an additional two days. Though Vera was accurately forecast and its track into Japan was well anticipated, limited coverage of telecommunications, combined with lack of urgency from Japanese media and the storm’s intensity, greatly inhibited potential evacuation and disaster mitigation processes. Rainfall from the storm’s outer rainbands began to cause flooding in river basins well in advance of the storm’s landfall. Upon moving ashore Honshu, the typhoon brought a strong storm surge that destroyed numerous flood defense systems, inundating coastal regions and sinking ships. Damage totals from Vera reached US$600 million equivalent to US$5.04 billion in 2017. The number of fatalities caused by Vera remain discrepant, though current estimates indicate that the typhoon caused at least 4,000 deaths, making it the deadliest typhoon in Japanese history. Relief efforts were initiated by Japanese and American governments immediately following Typhoon Vera. Due to the inundation caused by the typhoon, localized epidemics were reported, including those of dysentery and tetanus. The spread of disease and blocking debris slowed the ongoing relief efforts. Due to the unprecedented damage and loss of life following Vera, the National Diet passed legislation in order to more efficiently assist affected regions and mitigate future disasters. 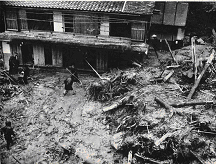 This included the passage of the Disaster Countermeasures Basic Act in 1961, which set standards for Japanese disaster relief, including the establishment of the Central Disaster Prevention Council. The origin of Typhoon Vera can be ascertained back to a diffuse area of low pressure first incorporated into surface weather analysis early on September 20. At the time, the disturbance was situated between Guam and Chuuk State. Though the Joint Typhoon Warning Center did not classify the incipient system as a tropical cyclone, the Japan Meteorological Agency analyzed the disturbance to be a tropical depression as early as 0000 UTC that day. Initially, the depression tracked westward, but transiently shifted to a more northerly course on September 21. Late that day, a reconnaissance airplane dispatched by the JTWC to analyze the disturbance failed to reach its center due to engine failure. However, the data collected from the storm’s periphery was sufficient enough for the warning center to classify the depression as a tropical storm at 1800 UTC that day. Despite the flight data, the JMA had already determined the system to have been of at least tropical storm intensity six hours earlier. As a result of the reclassification, the tropical storm was designated the name Vera by the JTWC. At this point the tropical cyclone began to take a more westerly course. 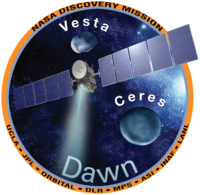 Early on September 22, an aircraft fix located Vera 175 km north-northeast of Saipan. Throughout the course of the day, periodic reconnaissance flights into the storm indicated that Vera had begun to rapidly intensify. By 1800 UTC later that day, data analysis concluded that the tropical cyclone had reached typhoon intensity. Rapid intensification continued into the following day, as the typhoon’s maximum sustained winds and barometric pressure quickly rose and fell, respectively. Concurrently, Vera’s size grew to a point at which it spanned 250 km across. At 0600 UTC the following day, Vera achieved its minimum estimated barometric pressure at 895 mbar. This indicated a 75 mbar pressure drop in the preceding 24 hours. Upon reaching its minimum pressure, Vera was estimated to have attained winds equivalent to a Category 5 – the highest classification possible on the modern-day Saffir–Simpson hurricane wind scale. The typhoon’s winds continued to increase before peaking at 1200 UTC on September 23, when reconnaissance aircraft reported maximum sustained winds of 305 km/h. Upon peaking in wind speed, Vera was located 645 km northeast of Guam. The tropical cyclone’s ability to quickly intensify was attributed to conducive atmospheric divergence and highly sustainable sea surface temperatures. Vera only maintained peak intensity for roughly twelve hours, but still remained a powerful tropical cyclone. With very little change in strength, the typhoon tracked northwestward throughout September 24. Due to the influence of a nearby high-pressure area, Vera began to gradually curve and rapidly accelerate northward towards Japan. At 0900 UTC on September 26, Vera made its first landfall on Honshu, just west of Shionomisaki. At the time, the typhoon had maximum sustained winds of 260 km/h and a barometric pressure of 920 mbar. Vera traversed the Japanese island rather quickly at a speed 61 km/h, and emerged into the Sea of Japan at 1530 UTC that day. Despite its short stint over land, the terrain greatly weakened the tropical cyclone. Tracking into a westerly wind flow, Vera was forced eastward, resulting in a second landfall near Sakata, Honshu, with an intensity equivalent to that of a Category 1 hurricane. Vera re-emerged into the North Pacific Ocean late on September 26, having weakened due to advection of cold air in addition to continued land interaction. At 0600 UTC on September 27, the JTWC analyzed the typhoon to have weakened to tropical storm intensity. The warning center discontinued its periodic monitoring of the system, as Vera had begun to transition into an extratropical cyclone. Consequently, the JMA officially reclassified the system as an extratropical storm at 1200 UTC that day. Vera’s extratropical remnants continued to persist and track eastward for the next two days before the JMA last noted the storm at 1200 UTC on September 29. Mount Ontake in Japan erupts. A volcanic eruption of Mount Ontake took place on September 27, 2014, killing 63 people. Mount Ontake is a volcano located on the Japanese island of Honshu around 100 kilometres northeast of Nagoya and around 200 km West of Tokyo. It was the first fatal volcanic eruption in Japan since the 1991 collapse of a lava dome at Mount Unzen,and the deadliest volcanic eruption in Japan since Torishima killed an estimated 150 people in 1902. The volcanic eruption happened at 11:52 Japan Standard Time. There were no significant earthquakes that might have warned authorities in the lead up to the phreatic eruption—caused by ground water flashing to steam in a hydrothermal explosion. The mountain is a popular tourist attraction for hikers, being considered good for beginner climbers and relatively safe, and the weather was also good, so there were several hundred people on its slopes at the time.The police said that they were searching for people remaining on the mountain. By 17:00 the police reported that three people were missing and were believed to be under ash. Another person was rescued from under the volcanic ash, but remained unconscious. Six people were injured, one by flying rocks. By 19:30, the number of people believed to remain buried in ash rose to six. Nine people had been reported to be injured, five of whom had fractured bones Later, at least 40 people were reported to be injured, and another 32 were believed to be missing. The JSDF began carrying out helicopter searches for missing people. One woman was reported to have died from the eruption. On September 28, the police reported that over 30 people had been found in “cardiac arrest” near the summit. Japanese emergency services often refer to people who show no vital signs, and are apparently dead, as being in cardiac arrest, as legally, only an authorised physician can pronounce a person dead. By September 29, a total of 36 bodies had been found, and 12 people had been pronounced dead; the search was suspended due to dangerous conditions, including hydrogen sulfide gas spewing from the mountain. 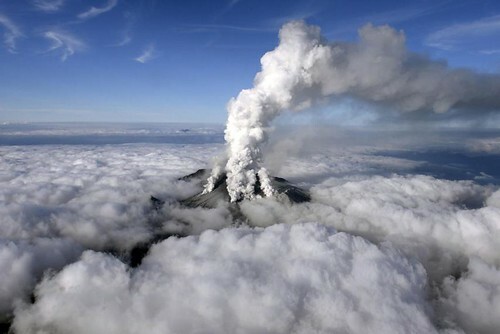 On September 30, fears of escalating volcanic activity on Mount Ontake continued to hinder rescue efforts. The Balinese Tiger declared extinct. In Zug, Switzerland, Friedrich Leibacher shoots 18 and kills 14 people and then himself. The Sukhumi massacre occurs in Abkhazia. The Balinese Tiger is declared extinct. In Zug, Switzerland, c kills 14 citizensand then kills himself.